Rioja is a quaint, fine dining restaurant located in Larimer Square in downtown Denver, Colorado. Rioja opened in 2004 and with its fast success it drew more chefs and restaurants to the area making it the gem of downtown, Denver. 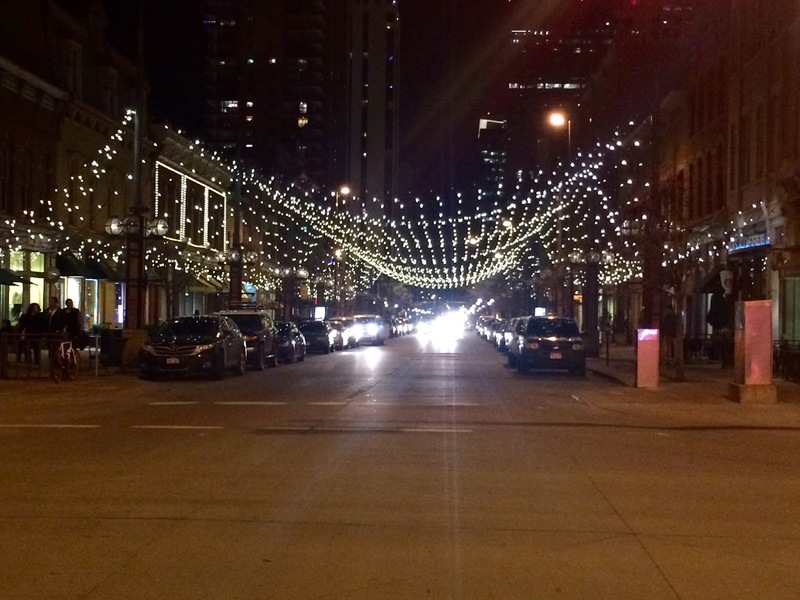 Walking along Larimer Square is beautiful – all the restaurants are in a row with a spacious patio in each one. It is even more spectacular at night with its lights sparkling from above giving it a fairytale feeling. Part of the success of Rioja comes from Chef Jennifer Jasinski and her business partner, Beth Gruitch. These two leading ladies met at Panzano and after their success there they decided to open their own restaurant, bringing Rioja to life. Along with their achievements at Rioja they quickly expanded to three more restaurants, two in Larimer Square and one in the recently renovated Union Station. With their four outstanding restaurants Chef Jennifer and Beth have created a little restaurant empire in Denver and their empire is called, Crafted Concepts. Their restaurants are consistently awarded and voted as the Best in Denver by several local and prestigious magazines and companies. In 2013, Chef Jennifer won a James Beard Foundation award for Best Chef in the Southwest – the first chef from Denver to win that award. Most recently, Chef Jennifer was a semifinalist for the James Beard Foundation’s Outstanding Chef Award. Chef Jennifer has created herself as a successful business woman and chef that inspires people to strive so it comes to no surprise that she received the Outstanding Women in Business Jean Yancey Award from the National Association of Women Business Owners in 2007. Remarkable. The restaurant from the outside looks small, but it is spacious inside two dining rooms. 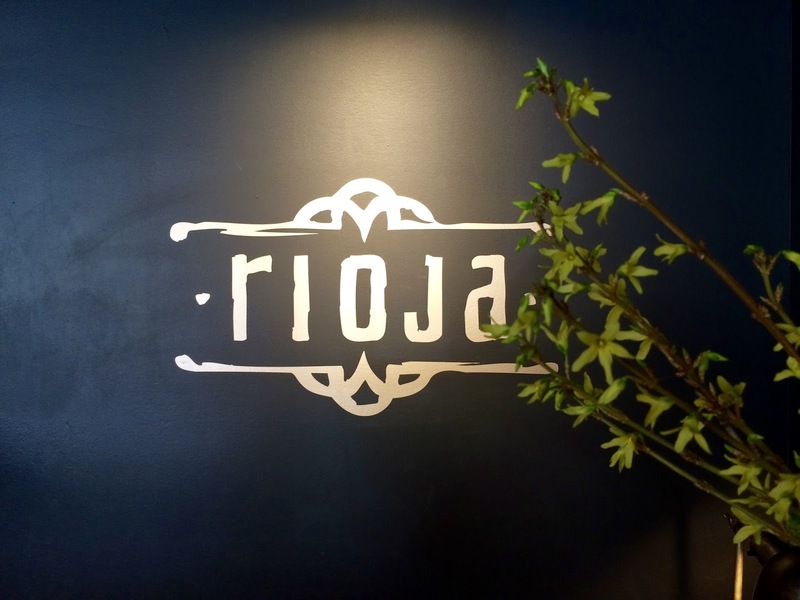 Rioja has a contemporary feeling – brick walls, hard-wooden floors, several antique mirrors, light forest green tones, and an open kitchen in the back of the main dining room. The restaurant has also been voted most romantic by Zagat because of their dim lights, intimate seating, warm, beautiful ambience and fantastic service. The kitchen serves Mediterranean inspired cuisine using local ingredients and making everything from scratch – even the pasta is home made. Rioja offers a dinner seven days a week has tasting menus upon request. Lunch is served during the week with a brunch menu during the weekends. The dessert menu is offered anytime they are open and it is highly recommended you save room for Pastry Chef Eric Dale’s desserts! Chef Eric has been worked with Rioja, Chef Jennifer and Beth since the very beginning and has established himself well being the pastry chef for all four restaurants of Crafted Concepts. That is a lot to oversee! Chef Eric’s desserts are always coming from something inspirational whether it be a childhood memory or Elvis Presley’s famous sandwich; he is always creating something delicious, approachable and elegant. A guest can always find something they will enjoy on any dessert menu from Chef Eric. His house made beignets have been Rioja’s menu since day one and have become a must have dessert when you visit Denver. Obviously that is what my husband and I decided to try after our lunch. Chef Eric is a master with dough because the brunch menu also offers his house made bomboloni with raspberry mascarpone filling as an appetizer. If only I had the stomach to consume so many donuts in one sitting. Warm beignets are dusted with powdered sugar and filled with a sweet goat cheese and black mission figs with a ruby port wine reduction. Simple but elegant presentation with the ruby port wine reduction decorated on the plate in the shape of flower petals with five beignets placed in the center to complete the the look of a flower. 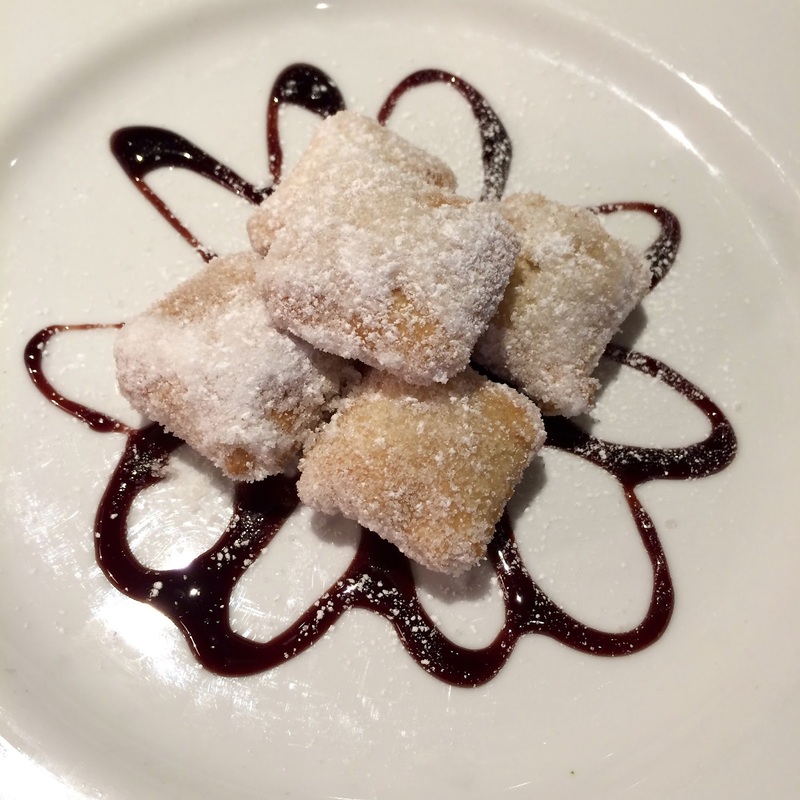 The beignets are as soft and delicate as a pillow. The filling is sweet from both the creamy goat cheese and the fresh black mission figs. They balance each other out beautifully – the juicy, rich, sweet figs pair well with the tangy goat cheese. The ruby port wine is reduced to a nice viscosity with some floral and fruity notes which added some acidity to the soft, sweet and creamy beignets. This dessert was as exquisite as everyone says and was almost like having a cheese plate with a glass of wine. So if a guest is looking to finish their meal with dessert, but does not want something heavy this light dessert is definitely the way to go. Plus it is on everyone’s must have dessert list in Denver!